In spite of recurrent criticism and an impressive production of alternative indicators by scholars and NGOs, GDP remains the central indicator of countries' success. 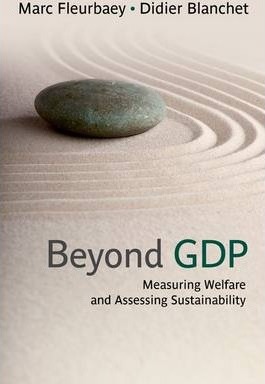 This book revisits the foundations of indicators of social welfare, and critically examines the four main alternatives to GDP that have been proposed: composite indicators, subjective well-being indexes, capabilities (the underlying philosophy of the Human Development Index), and equivalent incomes. do to the non-market dimensions. Moreover, it is argued in this book that "greening" GDP and relative indicators is not the proper way to incorporate sustainability concerns. Sustainability involves predicting possible future paths, therefore different indicators than those assessing the current situation. While various indicators have been popular (adjusted net savings, ecological footprint), none of them involves the necessary forecasting effort that a proper evaluation of possible futures requires.